During the recession a long term trend in housing took a bit of a short lived vacation. 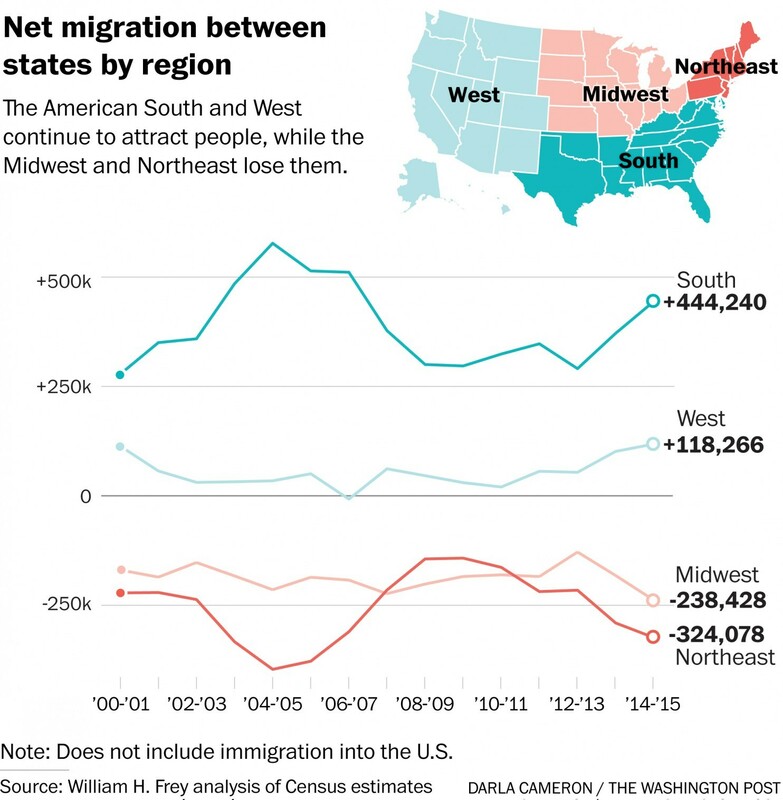 For decades the internal migration of people from the Northeast and Midwestern portion of the U.S. slowed down considerably. This was due, primarily to the economy. People simply couldn’t afford to make such a dramatic change at that time. Now, however, that is beginning to change and things are returning back to normal. The Sunbelt has always attracted large numbers of Americans away from other parts of the country and is again beginning to see large numbers of new resident migrating from different areas. Directly after the housing bubble burst Florida actually lost more residents to out of state moves than it gained and Illinois lost about 105,000 residents – the largest migration away from the state in the 21st century. One of the reasons for the trend to move to states such as Nevada and Arizona over the years is the simple fact that interstate highways made it simpler to do so and even the availability of air conditioning is attributed to the trend. Lesser expensive housing choices in these once lowly populated areas was another reason for such huge numbers of new residents from other parts of the country. For now the usual trend seems back to normal and this is a good thing for the housing market – more homes sold and more homes bought.